This morning was a duplicate of yesterday afternoon. The fog was thicker and the lonesone sound of the foghorn was the only thing that broke the cottony silence. 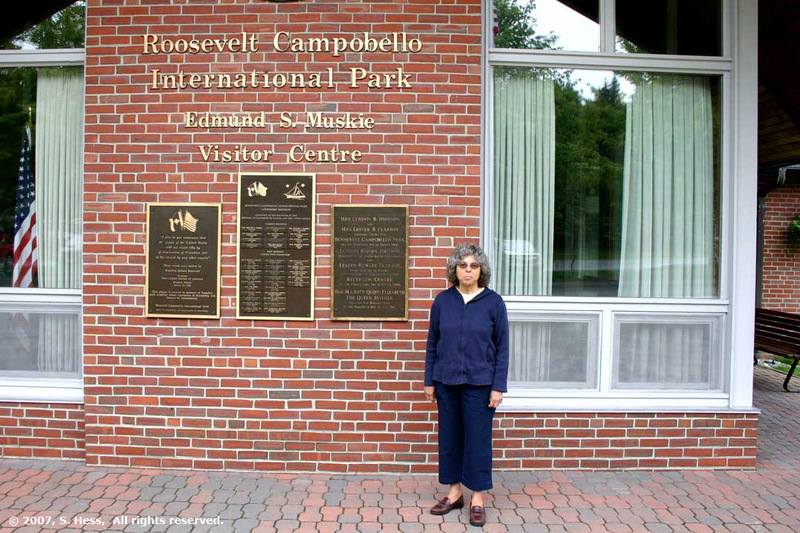 We had planned to visit Campobello Island and the Roosevelt Campobello International Park, so we left the campground hoping the fog would lift by the time we got to the island. 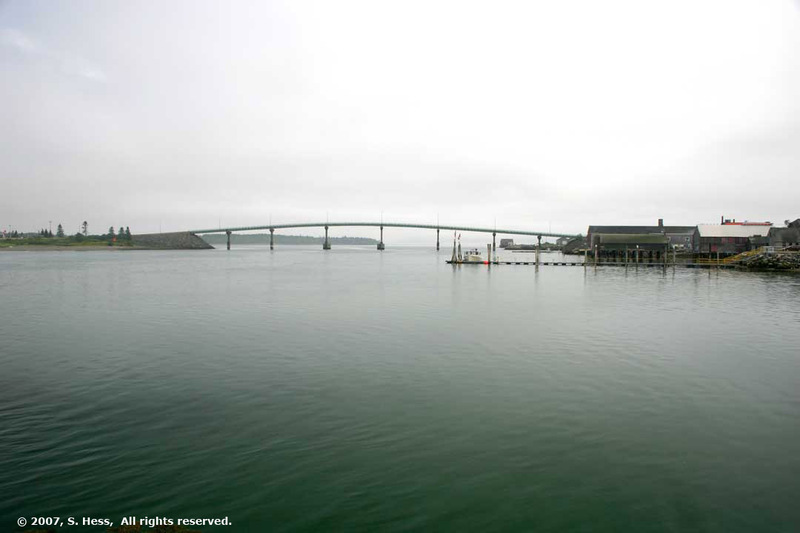 Campobello Island is in New Brunswick, but it is connected to the US mainland at Lubec, ME by the Franklin D. Roosevelt International Bridge. During the summer, there is a ferry that connects the Campobello to Deer Island, NB, that serves as an alternative route from mainland New Brunswick. A ferry also connects Eastport to Deer Island where we could have switched to the the Campobello ferry. Using the ferry the trip is roughly 15 miles, whereas the land route is about 40 miles. However, because the fog made the trip by ferry less desireable, we chose the land route, which took about an hour to complete. As we drive into Lubec the fog was lifting a bit and that gave us hope we could see some of the scenery around Passamaquoddy Bay. 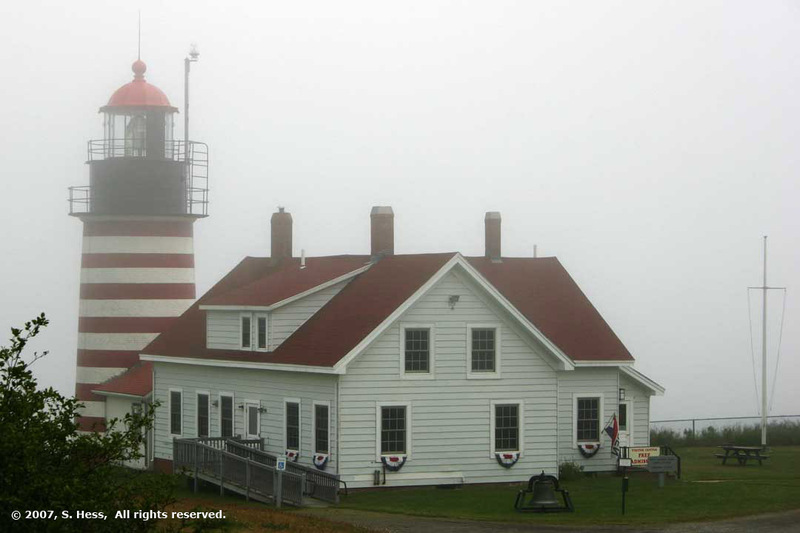 As it turned out the fog was a teaser... every time we thought that the fog was lifting, we rounded a corner and the fog was thick again..
Campobello Island is famous as the retreat used by Franklin Delano Roosevelt. 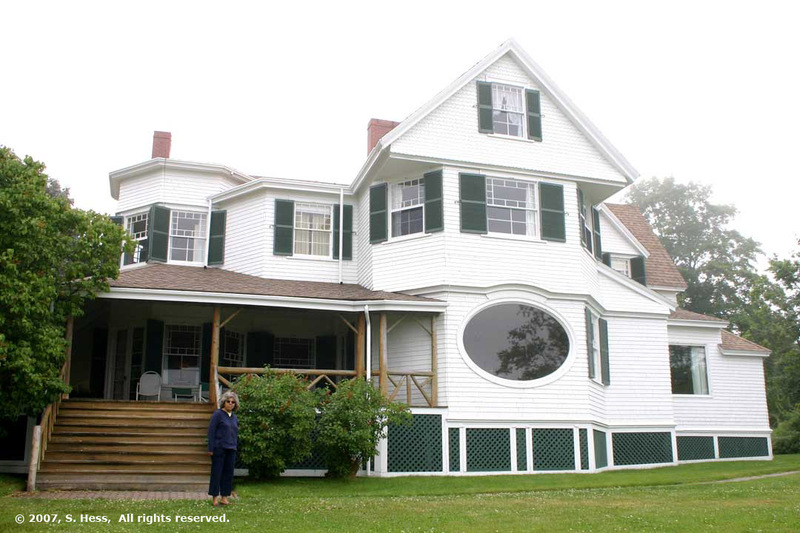 Campobello Island was developed as a resort area in the late 1880's when a number of hotels were built. The developer also sold lots for the construction of individual cottages and FDR's parents occupied one of those. 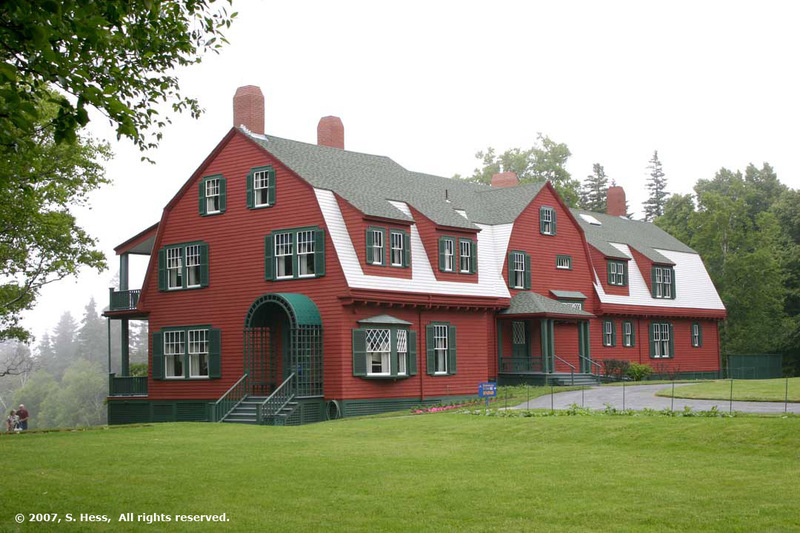 The Roosevelt Family had been using Campobello Island as a summer home since before FDR was born. Franklin and Eleanor came here during the summers and one of their children was born here. They lived in the cottage adjacent to FDR's parents home (no longer standing). 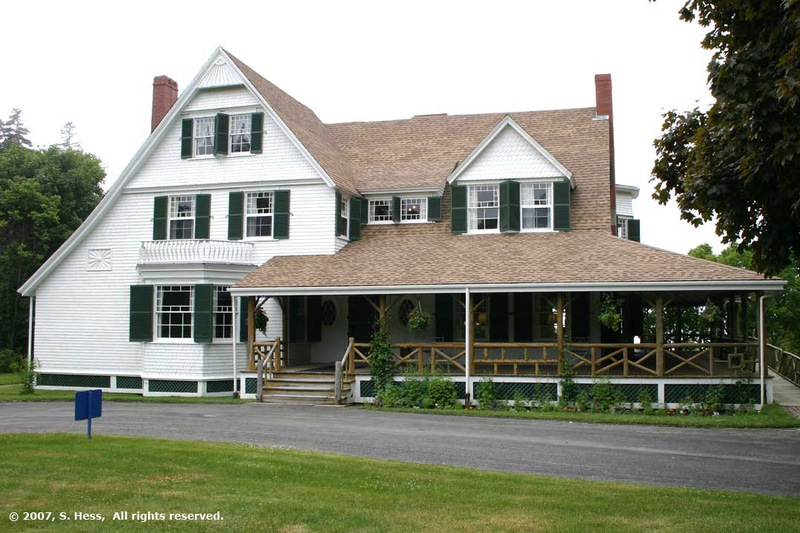 It is this cottage that is the centerpiece of the Roosevelt Campobello International Park. There are two other cottages in the park that were occupied by friends of the Roosevelts. 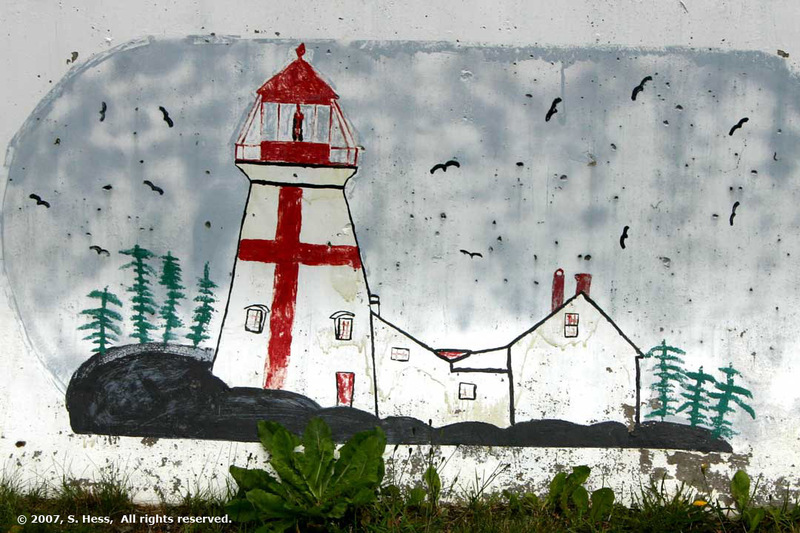 After visiting the Roosevelt Campobello International Park we continued east on the island hoping that we could see East Quoddy Light, reputed to be the most picturesque lighthouse in New Brunswick. 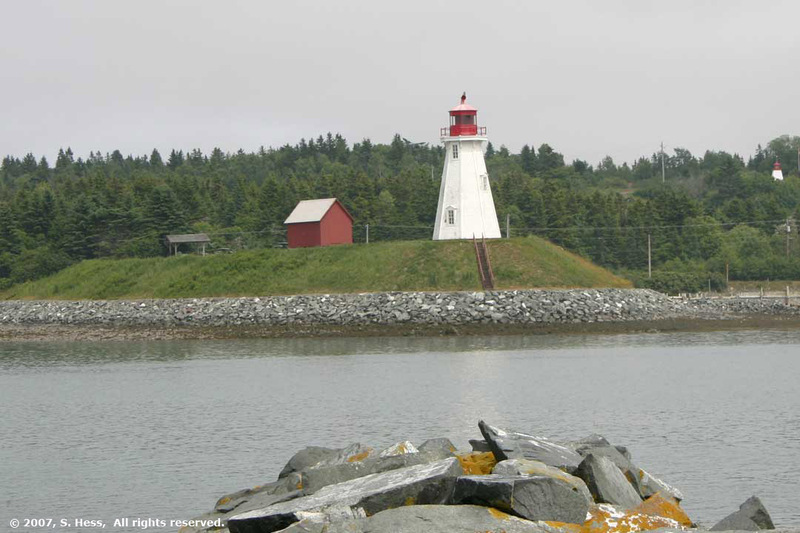 The lighthouse is on a small island just east of Campobello Island. We were told that during low tide it is possible to walk across a gravel bar to the lighthouse. 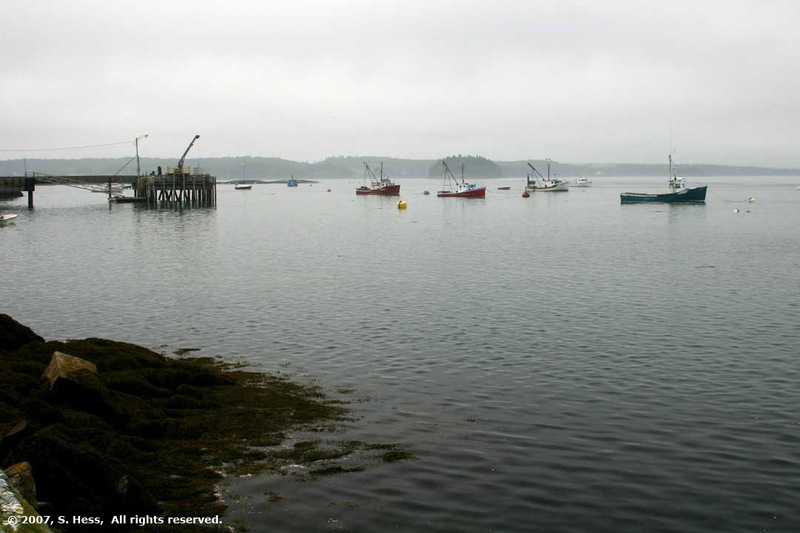 When we arrived, the tide was coming in and the fog was quite thick. We could barely make out the lighthouse in the distance. 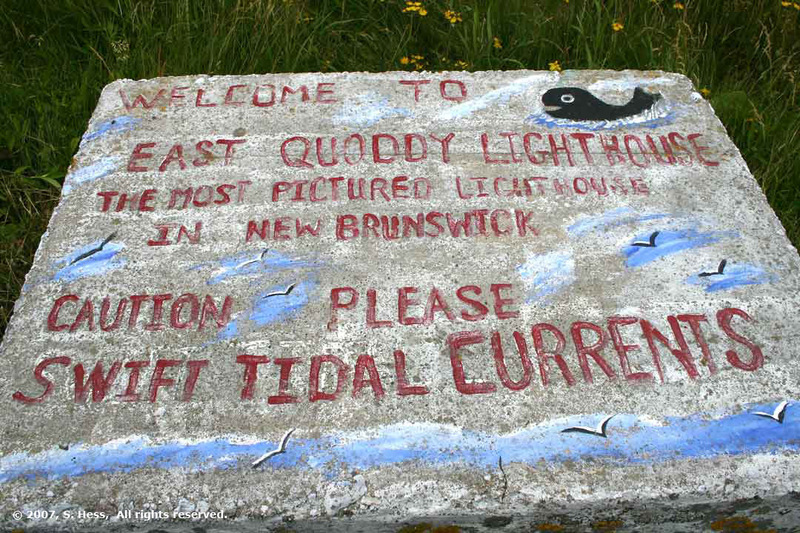 On our return to the mainland, we stopped briefly in Lubec and at the West Quoddy Light that is located near Lubec. 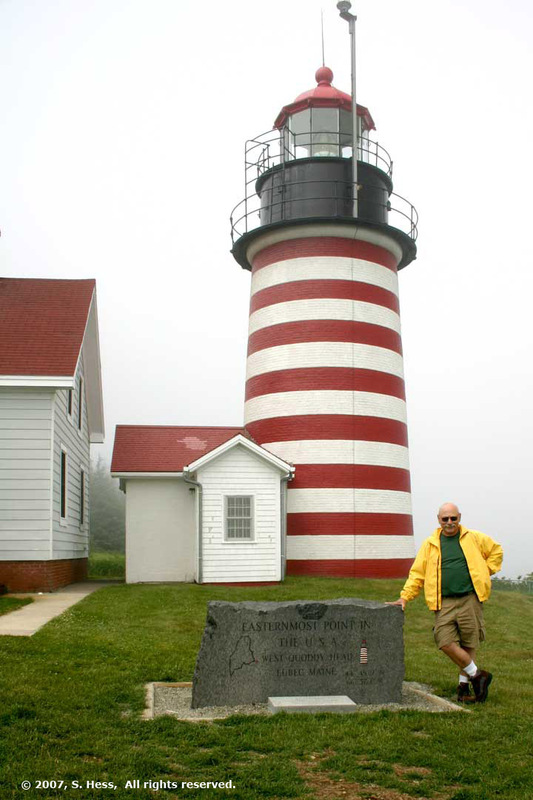 The West Quoddy Light sits on the easternmost point of the US. The fog again drifted in and out but we did manage to get some pictures of the lighthouse. 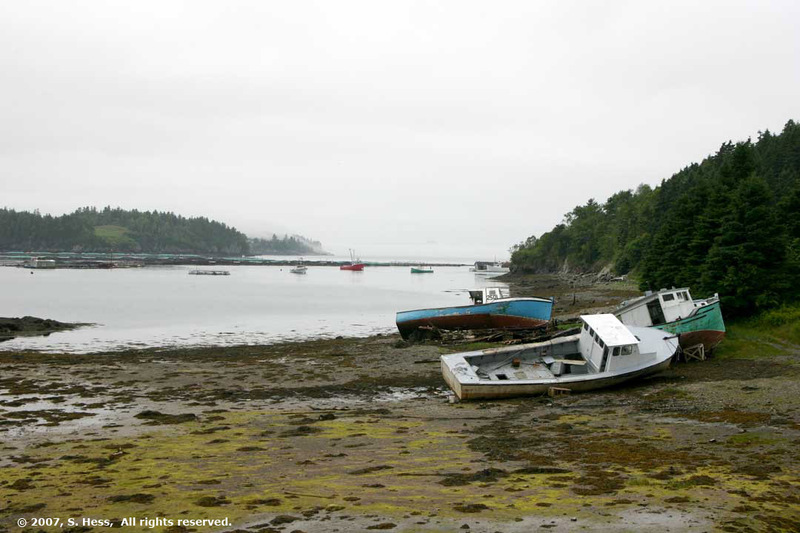 When we were driving to East Quoddy Light, we came across this fishing boat graveyard. The fishing industry in this area is dying because overfishing has depleted the cod, pollock and herring stocks. 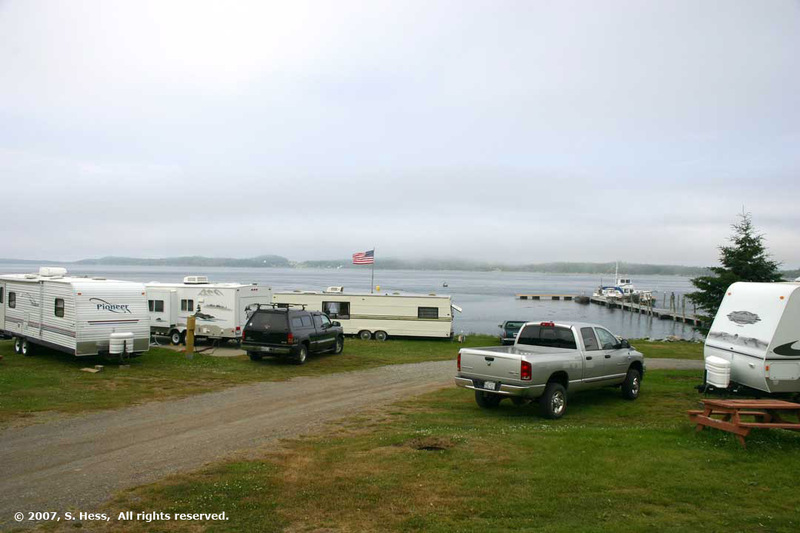 This afternoon the fog lifted enough to let us get this view of Deer Island from the door of our trailer. A few hours later the fog returned with a vengance. The fog was so thick the dock, on the right, was not visble.